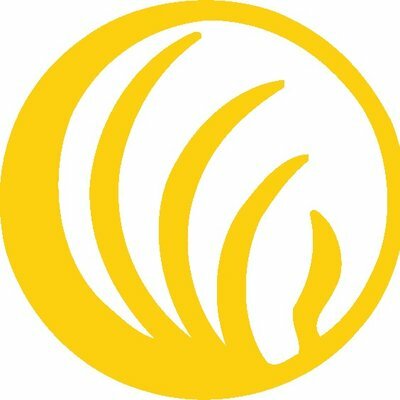 "Our mission is to improve the quality of life for individuals and families living with mental illness through support, education, and advocacy. 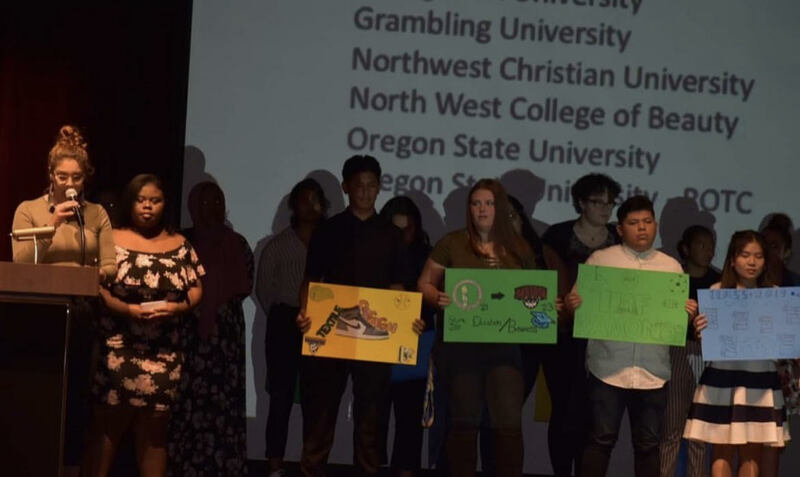 NAMI Multnomah helps educate people in the Portland metro area about mental health issues"
NAMI on campus at Portland State University is a club that promotes a positive and safe environment around mental health awareness for students. It allows those exposed to, interested in, and/or dealing with mental illness to come together. In order to keep the great work of NAMI PSU up, I became involved in helping recruit for the years to come. This was done through a table event, flyers, and interviews. This club is now a funded club which can only heighten their success, but this also create a need for new members to be involved. The table event was set up on campus during Mental Health Awareness Month (May). Our spread included information on the club, support groups, previous NAMI PSU events, NAMI Walk, and ways to get involved. Although the turn out wasn't as big as we'd hoped, the few who did show up showed great interest in our cause. 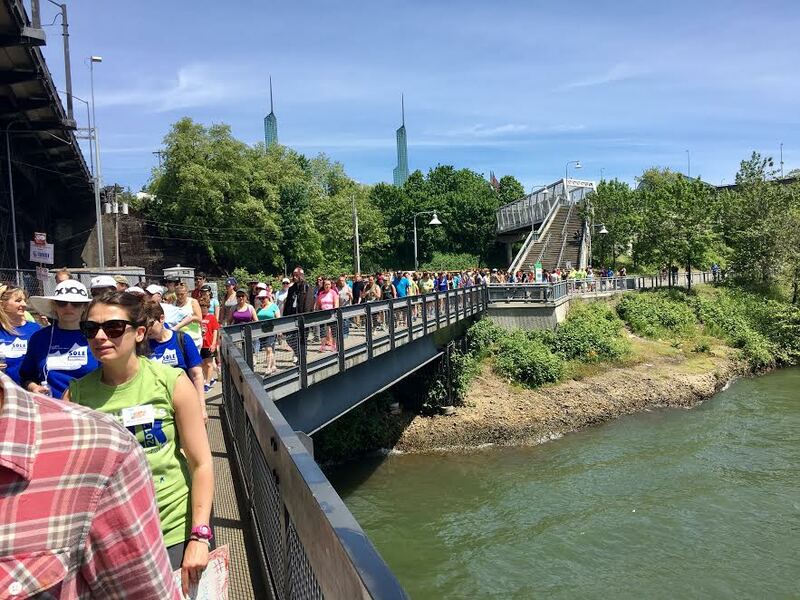 NAMI Multnomah is specific to the the Portland metro area, and one of the 1,100 nationwide affiliates. Volunteers teach free classes to learn about and how to live with mental illness, lead support groups, and provide various forms of resources for families and individuals living with mental illness. The NAMI Multnomah Helpline is another important service provided. It's free and it provides information to peers, family members, and friends. It's open from Monday to Friday from 10am-3pm for anyone with questions and needs regarding mental health. The opportunities for advocacy are updated on their site with information on how to do so, along with information on how to keep in contact with your Oregon Legislature about the latest happenings at the State Capitol. 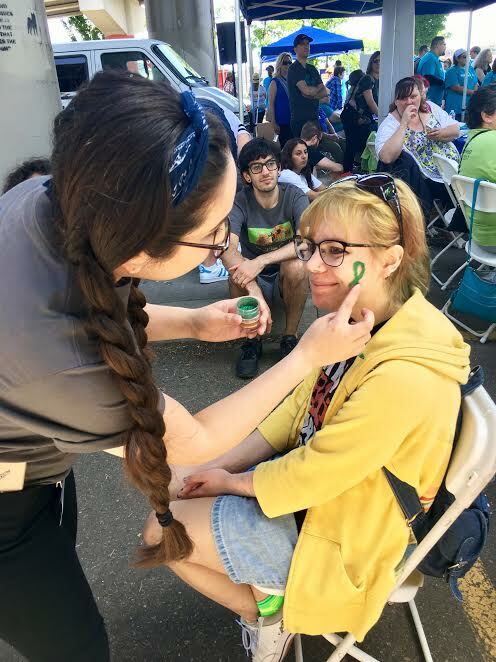 The NAMI Walk is a 5K event that brings awareness to mental health and helps raise funds for different NAMI organizations across the country. NAMI Northwest was held on May 29, 2017, consisting of about 6,000 participants! With the help of the various teams and incredible donors involved we are currently at $204,557 in donations. The event started with different activities for various age groups to heighten excitement for the walk and our cause. This included face painting, chalk art, music, tai chi, and much more. The walk took place at the Vera Katz Eastbank Esplanade. Volunteers carried signs filled with positive messages which really brought more attention to our walk. That time was spent connecting with others and gaining the attention we needed for our cause. It's hard to visualize the impact such an event has, but it truly does make a difference. My work with NAMI Multnomah has just barely scratched the surface throughout this term. Despite different obstacles that came up along the way I will continue to be a member of NAMI, and really get working with this organization. I was still able to enjoy being apart of an event such as the NAMI Walk. Being surrounded by hundreds of people who want to advocate and stand up for mental health awareness is something truly special, and something I want to be apart of for as long as possible. When I was starting out, and got in contact with the creator of NAMI PSU I found myself feeling very hopeful for the future. Although this is my last term at Portland State University, finding out that there was even such a club made me so happy. Knowing that there was now a safe space for those dealing with and/or affected by mental illness. A space where people could come together and connect. Those kinds of spaces are still limited in our society, but seeing the growth of organizations and clubs like this makes all the difference. I used this opportunity to advocate and share on my own terms. I opened up about my own struggles with mental illness and allowed myself to be vulnerable with others. This term has taught me more about myself than I could have imagined. I took the missed opportunities and used them as a platform for myself. I may not have been able to be accomplish everything I had planned on within the organization, but I did overcome my own fears and some of my struggles with my mental illnesses just by sharing my story and connecting with others. I figured if I was going to be an advocate for mental health, I should be an advocate for myself too.